Graduates can become detectives "in a matter of months" with the help of a new fast-track training programme. The 12-week scheme is being developed in response to a shortfall of 5,000 investigators across England and Wales. Recruits will begin working on cases within three months but receive training over a two-year period. Police Federation secretary Karen Stephens described the programme as "an insult to the experienced hard-working detectives". The government has set aside £350,000 for the new detective entry programme, which will focus on problem-solving, crime prevention and safeguarding. 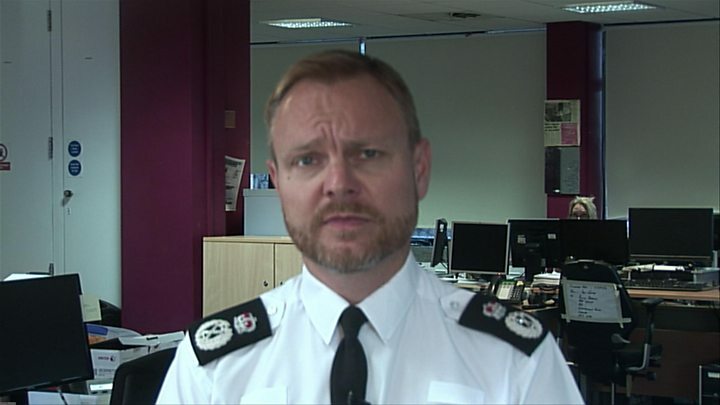 South Wales Police Chief Constable Matt Jukes said: "Crime is changing, so we need people who are going to be cyber investigators, who can deal with a massive amount of information that's coming through social media." "[We must] recognise they're working under enormous pressure, this is the opportunity to bring in a diverse and talented group of people," he said. Can you become a detective in 12 weeks? In March, it was revealed that there was a shortfall of 5,000 police detectives across England and Wales. HM Inspectorate of Constabulary and Fire & Rescue Services (HMICFRS) called it "a national crisis", with one in five detective desks either empty or filled with unqualified staff. The shortfall is believed to be the consequence of a rise in demand for personnel in specialist areas such as counter-terrorism, as well as the difficulties in retaining investigators in the face of a well-paid commercial sector. Ms Stephens said: "Whilst we welcome any new investment in policing, this appears to be divisive and ill-conceived. "A direct entry scheme will serve to shatter morale even more and do nothing to instil public confidence and trust." David Spencer, a former detective and co-founder of Police Now, said he hoped the programme "will encourage a new group of diverse and brilliant individuals to enter the police service and contribute to the outstanding work being done by existing detectives up and down the country." The scheme has no start date at present, but the Home Office said it hopes it will boost the number of detectives by up to 1,000 over the next five years.